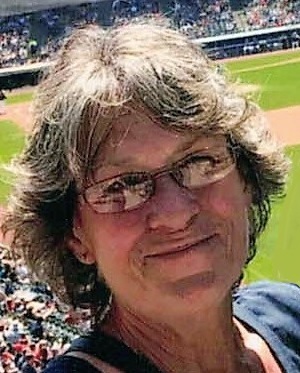 Kathleen Cline, 65, of Toledo, Ohio passed away at home on August 23, 2018. Kathleen retired from Rossford City Schools. She enjoyed going to the casino, euchre parties and family gatherings. Kathleen is survived by her children, Michelle Nihiser, Patricia Nihiser and John Nihiser II; grandchildren, James Miller, Thomas Miller, Deanna Miller, and Jacob Wurst; 4 great-grandchildren; siblings, Sandra Garcia, Cindy Mersing, Robert (Mindy) Atherton and Stephen (Dawn) Atherton and the father of her children, John Nihiser. She was preceded in death by her husband, Robert Cline, parents, Leo Everhardt and Dolores Atherton; step-father, Charles Atherton; and brother, Thomas Allen Atherton. Family and friends may visit the Freck Funeral Chapel, 1155 S. Wynn Rd in Oregon on Monday, August 27, 2018 from 3-8 p.m. Funeral services will be held on Tuesday at 11 a.m. in the funeral home.